Themes of endurance pulse through Unbroken, director Angelina Jolie’s straightforward film of Louis Zamperini’s life, which presents the wartime survivor as a Christ-like figure who perseveres to devote his life to God. An Olympic runner, who served in World War II as a bombardier, survived being lost at sea for 47 days, and then lasted two years in a Japanese POW camp, Zamperini and his life were detailed in Laura Hillenbrand’s best-selling 2010 biography. In Jolie’s hands, the story becomes a one-dimensional testament to Zamperini’s rare ability to suffer great tortures and prevail despite them. 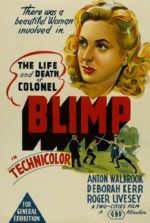 With battering symbolism and thin characterizations, the film’s overall conceptual approach resides in solemn adornment, respectful and humorless. To maintain a PG-13 rating, many of the more grotesque aspects of Zamperini’s survival story have been trimmed, but so too have his mischievous moments of camaraderie and, frankly, personality. The character becomes much like the film itself, admirable but vacant. Everything about this Universal Studios release screams Oscar pandering, from its prestigious storytelling style to the delicately handled protagonist. Jolie’s film puts “Louie” Zamperini on such an exalted pedestal that her film fails to sculpt a three-dimensional figure; what audiences are left with is a detailed relief, an incomplete impression of a life story with all of the humanizing qualities left on the cutting room floor. 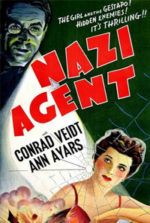 Screenwriters Richard LaGravenese and William Nicholson wrote early adaptations, while the Coen Brothers (in writers-for-hire mode) wrote the shooting script. Even the Coens fail to mine what makes Zamperini tick, beyond his desperate need to survive. Jolie’s supporting crew includes a score by Alexandre Desplat and typically gorgeous cinematography by Roger Deakins, but no matter how good the film sounds and looks, it doesn’t connect in a profound way. The film opens with a thrilling sequence where Louie (Jack O’Connell) and his comrades soar above the Pacific in a B-24 bomber and drop their payload, only to enter a nasty battle with Zero planes. Meanwhile, the film intercuts segments of Louie’s young life (now played by C.J. Valleroy) growing up as an Italian immigrant in Torrance, CA alongside his brother (played by actors John D’Leo and Alex Russell) and parents (Maddalena Ischiale, Vincenzo Amato). Although he’s initially bullied as a boy, he’s recognized as a fast runner and soon dubbed “The Tornado of Torrance”. While training, his brother tells him “A moment of pain is worth a lifetime of glory,” and therein foreshadows the rest of the film. 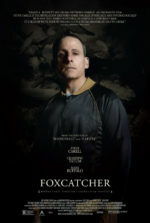 Before Louie must test himself in ways he cannot yet imagine, he runs in the 1936 Berlin Olympics and places eighth. The film passes over how Louie actually shook hands with Adolf Hitler at the event, perhaps because it plays no significant role in what happens next. On May 27, 1943, Louie, Capt. Russell Alan “Phil” Phillips (Domhnall Gleeson), and Sgt. Francis “Mac” McNamara (Finn Wittrock) are the only survivors when their B-24 crashes in the Pacific due to engine trouble. Only Louie and Phil survive the 47-day ordeal on the life raft, which involves storms, sharks, starvation, in-fighting, and a Japanese plane unleashing rounds upon them. Afterward, they’re sent to a POW camp in Tokyo under the cruel supervision of Mutsuhiro Watanabe (Takamasa Ishihara), aka “the Bird,” who takes particular joy in beating and humiliating our protagonist. Nonetheless, Louie endures, quietly—so quietly in fact that even O’Connell’s fine performance gives us little insight into what’s going on in Louie’s head during this period, save for his brother’s predictably repeated quote: “A moment of pain is worth a lifetime of glory.” When Louie survives, he returns home to his family and the end titles fill in the rest of his life. Unabashed hero worship is the major fault of Unbroken. Jolie spends so much screen time punishing Zamperini with his experiences, and therein wowing the audience with how any human being could endure such torment, that she forgets to give us a three-dimensional character. For example, Zamperini’s faith is mentioned briefly during his plight on the life raft, but nary hinted until the end titles, which tell us how the man lived out his remaining years serving God until his death in July 2014 at 97. The opening credits cite Unbroken as being “a true story”, as opposed to the typical “based on a true story”, which would otherwise allow for the standard liberties with an adaptation to screen. But the film has been carefully constructed into a blind adoration instead of a worthy portraiture; it captures events, but not people, not gradations. 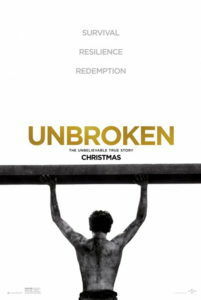 With equal measures of depth and breadth, Unbroken could have been a stirring epic; yet even with a 2-hour-and-17-minute runtime, Jolie fails to provide audiences with insight into the brave humanity that allowed Louie Zamperini to endure.